Exotic Sports Cars is proud to present this 2009 Bentley Brooklands finished in Artica White over Imperial Blue hides with Saffron stitching and piping. This low mileage Brooklands just received a service and is ready for it's new owner.This Bentley is built as standard with nearly every luxury amenity known to man, but has been further specified with highly desirable options such as "very rare" ceramic brakes ($30k option), Brooklands sports combination (20-inch 5 Spoke 2-Piece Alloy Wheels, Dark Tint Stainless Steel Bumper Matrix, Mulliner Diamond Quilted Seat Facing and Door Panels, Embroidered Marque Emblems on Seats), Flying "B" Radiator Mascot, Bird's Eye Maple Interior Veneer, Recessed Bentley Marque Badges to Wristrails, Niam Premium Audio, Ultrasonic Park Distance Control Front & Rear with Reverse Back-up Camera, and Ipod Interface. This beauty is LOADED and comes with over $50,000 in options over and above the standard Brooklands model. This low mileage Brooklands was just serviced and is "ready to go"! !The Brooklands is the culmination of a long and proud line of hand-crafted motor cars to be produced by Bentley. An extremely powerful and absolutely pampering grand touring machine, its majestic engine belts out a tidal wave of torque and the Bentley features a sporty yet very supple suspension. The Brooklands' interior is a sumptuous masterpiece blending the finest hides, veneers, and brightwork on the planet. Breathtaking from any angle, its styling is a harmony of vintage coachwork and modern details. 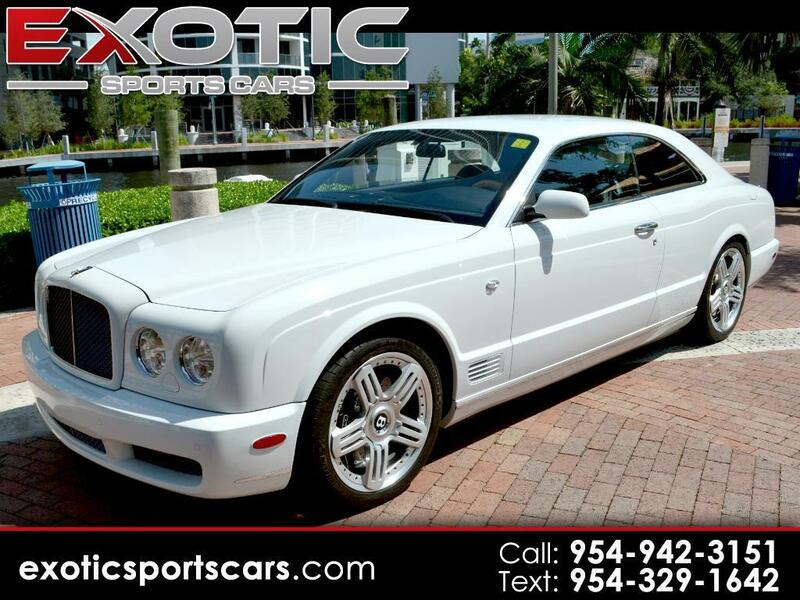 Pulling up in a Brooklands is an event!If you are in the market for a fantastic piece of Bentley history, well-equipped and in the perfect color combination, Call us at 954-942-3151 or email us regarding this Brooklands today! It will not last! Warranty Description: VEHICLE HAS A 3 YEAR UNLIMITED MILEAGE WARRANTY SERVICE CONTRACT AVAILIABLE ON THIS VEHICLE. FOR AN ADDITIONAL FEE. Message: Thought you might be interested in this 2009 Bentley Brooklands.